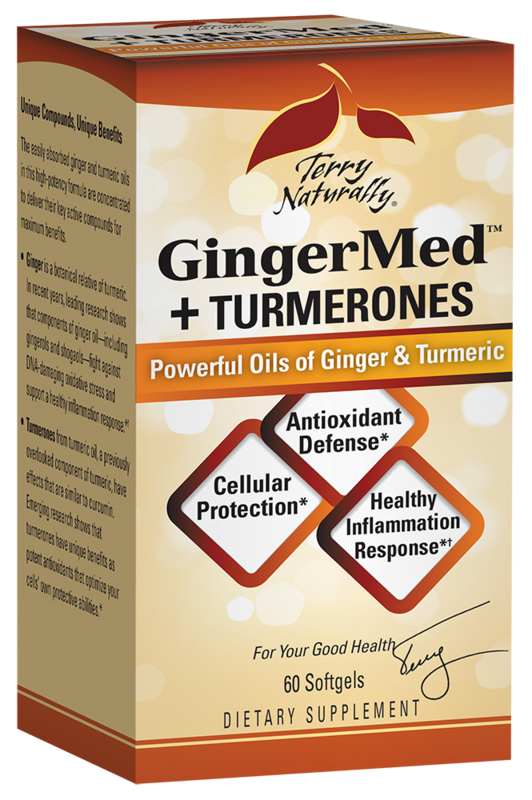 GingerMed + Turmerones provides antioxidant defense with powerful compounds from ginger and turmeric oils. While each ingredient is independently effective, together they are unbeatable. Other Ingredients:extra virgin olive oil, gelatin, glycerol, water. No:sugar, salt, yeast, wheat, gluten, corn, soy, dairy products, artificial flavoring, artificial coloring, or artificial preservatives. I see that the ginger and turmeric are “supercritical CO2 oils” in this formula. What does “supercritical” mean?